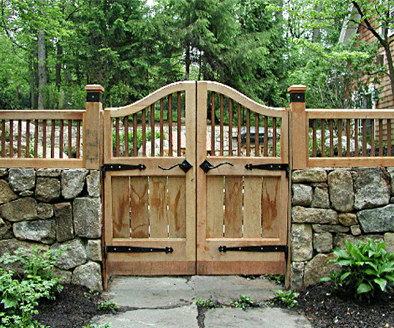 An interesting double gate, incorporating a graceful reverse curve, creates a counter point to the stone walls. 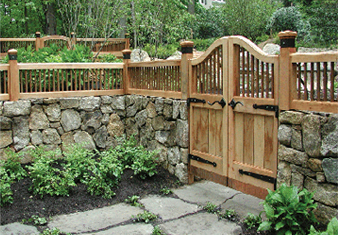 This gate has copper balusters above with 3½" thick framing and solid panels below. Constructed of clear, kiln dried western red cedar.